Children come to Dodford from a wide range of backgrounds including inner cities but all benefit from a visit to the countryside to widen their experience. We see children with autism, physical disabilities and behavioural problems which make ordinary holidays difficult. Some children live in high rise flats and do not have the space to play outside; others live in areas of ‘high risk’ where it is unsafe to do so. What Dodford offers is a change of environment and the opportunity to experience care, warmth and freedom in a secure, homely atmosphere. A stay can help to boost self-confidence and encourage personal and academic development. These key benefits, coupled with the support given to children and families, often underpins the work being done by outside agencies in their home area. Very often long term friendships are forged with families who return for subsequent visits. Nurseries, primary and special schools stay at the farm as they have since the 50’s, most coming every year. for many groups it is possible to arrange an exclusive visit. 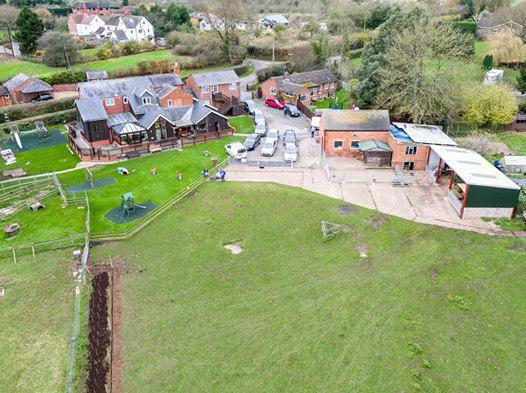 Teachers tell us of major developments they see in the children both during and after a stay at Dodford. This is why Dodford is just as relevant today as it was in the fifties and needs and deserves support to retain the unique resource to help those children who are disadvantaged.